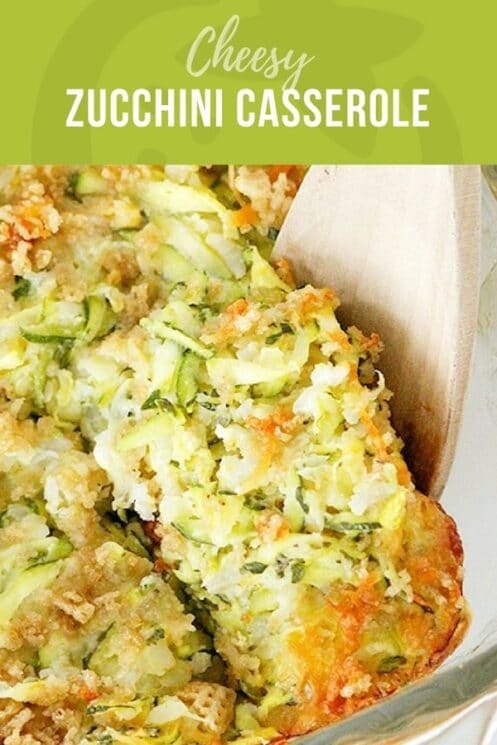 Cheesy Baked Zucchini Casserole is made with fresh zucchini, melty cheese and a surprise ingredient that gives it a crunch on top! 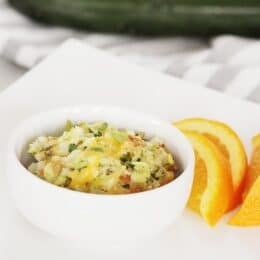 This delicious dinner recipe is great to serve all summer long when zucchini is plentiful and you need to use it up. Especially those big zucchini you forgot about and have grown to the size of a truck! When you grate them up, no one will ever know about the zucchini neglect. It really is incredible how many different ways you can prepare zucchini! The list could seriously go on and on and on. 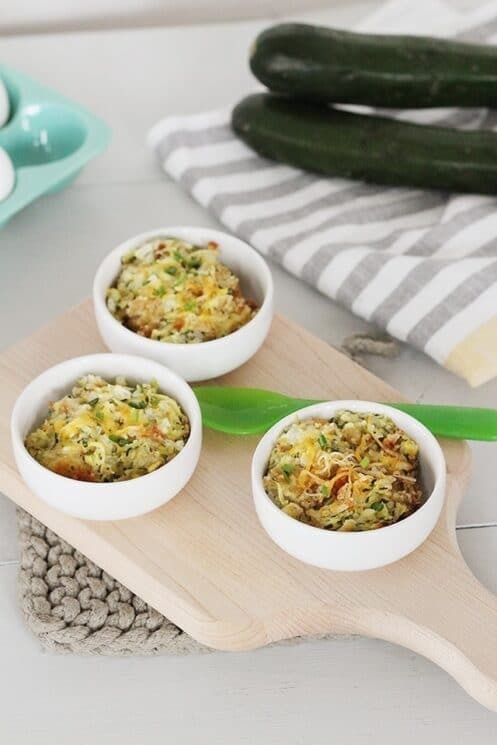 What is it about zucchini that makes it so versatile and delicious is so many different types of recipes? Its flavor! Zucchini has a very mild taste which makes it so perfect to use in combinations of endless types of food. Zucchini is considered a ‘summer squash’ because it is available earlier in the growing season compared to most squash, and also because it can’t be stored for long periods of time like some of the hearty winter squash. Fresh zucchini will keep in an airtight container for about a week. You can also freeze zucchini. It usually holds up better if you blanch it really quickly before freezing. 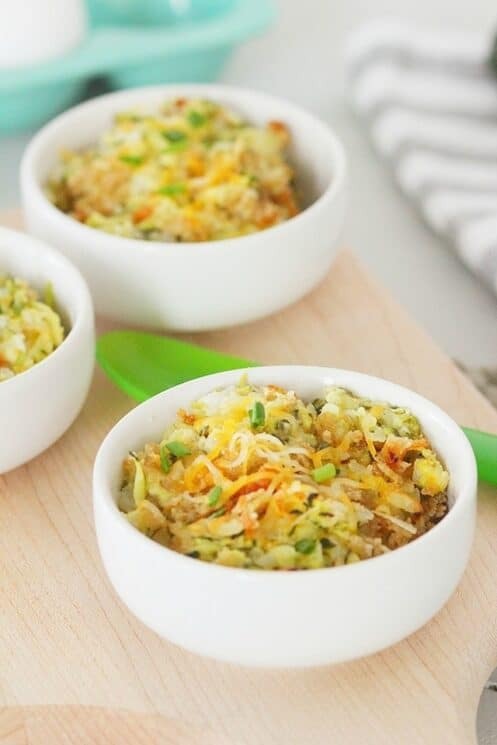 The texture won’t be the same as fresh, but it is still great in recipes! Preheat oven to 400 degrees F and grease a 9×13-inch baking dish. Cook rice as directed on package, set aside. Grate the cheese. Grate zucchini and place in colander. Toss with 1 teaspoon of salt and allow to sit in colander over a bowl to allow excess moisture to drain. After 10 minutes, squeeze more moisture out and then add zucchini to a large mixing bowl (you will need about 4 cups of zucchini). 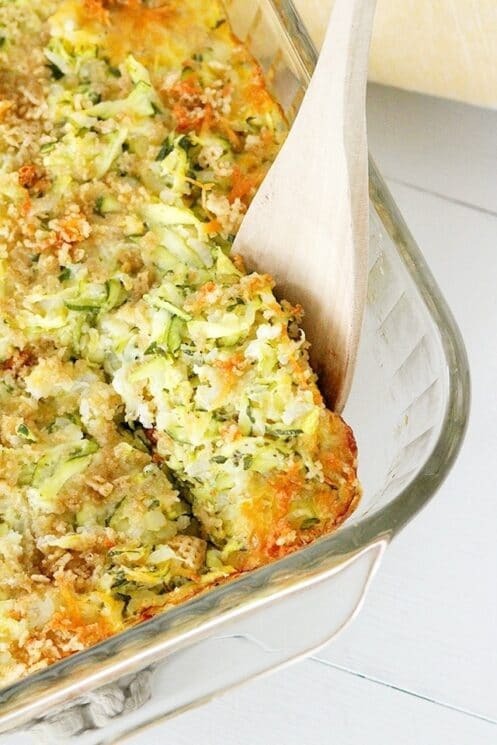 Add sour cream, yogurt, baking powder, and eggs to zucchini and mix well. Add cooked rice, 2 cups of the cheese, chopped chives, 1/2 teaspoon salt, and Italian seasoning. Mix well. Pour into prepared baking dish and sprinkle with remaining cheese. Crush the cereal and melt the butter. Toss together; sprinkle on top. Bake for 30-35 minutes, or until heated through. Have you tried freezing this? Can you freeze this prior to cooking or after cooking? Loved this! So easy and delicious and my grandson didn’t know he was eating his veggies. Approximately how many cups of zucchini does this recipe need? Never mind! I just found it in the directions. May I inquire why white rice was used instead of brown? Since it is prepared separately, would it hurt to sub in brown?